The security of this file has been compromised. Information contained below may not be accurate. Due to a pending investigation by the Foundation Information Security Division, this file has been [LOCKED]. All attempts to access this file will be monitored, and attempting to edit this file is strictly prohibited. For more information, see Special Addendum 2996.A below. Special Containment Procedures: SCP-2996 is to be contained within a standard Incorporeal Entity Vacuum Chamber at Site-81. This chamber is to be fitted with 4 Non-Physical Displacement Neutralizers (nPDN). SCP-2996 may be allowed to request certain items for entertainment. Once weekly, SCP-2996 must undergo a routine psychological evaluation with an on-site psychologist in order to properly evaluate SCP-2996's mental state. Due to current concerns about the state of SCP-2996's mental health, the appropriate use of Class-H Electrostatic Amnestic Treatment has been approved, if necessary. Updated Containment Procedures: Due to the effective use of the nPDNs, it is possible to now perform physical examinations of SCP-2996. These exams must be performed once weekly as part of an ongoing effort to collect information regarding the physical nature of incorporeal entities. Updated Containment Procedures: As of 08/19/2012, SCP-2996 has been declared neutralized. All aforementioned containment procedures are no longer required. Description: SCP-2996 is a Class II Incorporeal Humanoid Entity, initially discovered in an abandoned home in Nashville, Indiana. SCP-2996 appears to be a young human female of European descent with black hair and blue eyes, and a number of visible wounds across the entire body, including a major gunshot wound to the right eye. Although SCP-2996 is by default an incorporeal entity, the use of nPDN devices has allowed Foundation personnel to "anchor" SCP-2996 into a physical state during examinations. It is currently hypothesized that the use of these devices, along with other aspects of containment, is the source of SCP-2996's deteriorating mental/emotional state. SCP-2996 claims to be eight-year-old Emily Nash, the subject of a murder in Nashville, Indiana, in 1929. Data recovered from various sources have supported the claim that an Emily Nash was found dead in her home; however, the listed cause of death was suicide. During interviews, SCP-2996 has rejected any evidence that supports suicide, and has vehemently remarked on several occasions that its killer was a close friend and neighbor, one thirteen-year-old James Franklin. The existence of this individual in Nashville in 1929 has not been verified; however, efforts to collect additional information are ongoing. Psychiatric Evaluation Results: There is concern, to me, about the state of SCP-2996's emotional health. The object clearly is at odds with evidence presented to it, as well as its current state of containment. Throughout interviews, it has become clear that SCP-2996 believed that it lingers in this world in order to enact revenge upon its killer, and that it was a powerful, unbound spirit. This, of course, is in direct conflict with both information that we have provided to SCP-2996 in regards to its death, as well as its containment within Site 81. SCP-2996, then, is no longer certain about a number of things, which has led to increased anxiety in the subject, as well as depression and suicidal thoughts. Given the nature of its being, the latter is of utmost concern. Dr. Rudolph is abruptly cut off by the sound of SCP-2996 thrashing against its containment cell. Dr. Rudolph: (Motions to mute speakers) Right, SCP-2996, this will be much easier for both of us if you're willing to comply with these examinations. Unfortunately, I'm not sure how much we're going to be able to accomplish today, so let's just postpone this until you're feeling a little better. Dr. Rudolph: Good morning, SCP-2996. Are you feeling up to talking today? Dr. Rudolph: I understand your frustration, SCP-2996, but you really must learn to cooperate with us here. Nobody wants to harm you, we just want to talk. SCP-2996: (Laughs) I am an unbound spirit of torment, you mortal wraith. I will not have words with you. I will not stop until I can squeeze the life out of his writhing throat. Dr. Rudolph: SCP-2996, I am willing to turn off our Neutralizers and allow you to return to your incorporeal form, but only if you will calm yourself and speak to me. SCP-2996 becomes violent, thrashing throughout its containment cell and beating the walls with various parts of its body. Security personnel enter the cell and sedate SCP-2996. Dr. Rudolph calls an end to the interview. Site Assistant Director's Note: Pending approval, Dr. Rudolph has been transferred to Site 18. Dr. Angela Kidwell will assume acting lead on all of Dr. Rudolph's active Site 81 projects. Dr. Kidwell: Good afternoon, SCP-2996. You wanted to speak to me? SCP-2996 walks slowly around its containment cell. SCP-2996: I do not understand. How am I kept here? Dr. Kidwell: Yes, well… we have machines that can hold entities like yourself in containment. We want to learn more about you, where you came from, how you function. Dr. Kidwell: …and we contained you, SCP-2996. I am willing to make some allowances for you, but I really do need your help first. SCP-2996 is silent and no longer responds to questioning. Dr. Kidwell ends interview. Psychiatrist's Note: I really do believe we're making progress with SCP-2996. The subject no longer tends towards violence in its interactions, and might be willing to further communicate during additional interviews. I suggest we try to not stress the issue, but rather allow it to happen naturally. Dr. Kidwell: When we talked last, SCP-2996, you were telling me how you felt about your containment, yes? SCP-2996: I just… I feel like I got so much hate in me. I got a thing inside that wants me to squeeze the life out of Jimmy, but… I seen the evidence, doc. I read the reports you gave me. Dr. Kidwell: I understand how difficult this might be for you, SCP-2996. That's the purpose of our research, though. So we can try to offer you, and other entities like you, some sense of normalcy. SCP-2996: (SCP-2996 is silent for a moment) Maybe you're right. Maybe I was just so angry and so confused, dying didn't settle anything. Maybe I did this, all of this, to myself. Dr. Kidwell: I know this is hard for you. But this is a big step, and it's one I think you need to take. You've been given a rare opportunity, to see past the anger and to start over. SCP-2996: Do… do you think that's true? SCP-2996: (Smiles) Okay. I believe you. After a number of therapy sessions with Dr. Kidwell and additional counselors on the Site-81 staff, SCP-2996 became significantly less prone to violent outbursts. Through her treatment she was able to come to terms with the events surrounding and resulting in her death, and was able to move past them. On August 15th, 2012, SCP-2996 was given a final physiological examination, where it was determined that her anomalous qualities no longer existed. SCP-2996 was, by all accounts, a normal human girl. As a result of this, on August 18th, 2012, SCP-2996 was determined to be "neutralized". A final round of amnestic treatment was prepared while Site-81 staff sent a request to Overwatch Command that the child, previously SCP-2996, be released to a family desiring to adopt a child. The request was written by Dr. Kidwell, notarized by Dr. Bishop (Site-81 Head of Research), and signed by Director Aktus. On August 28th, 2012, the request was approved. The child, renamed Samantha Pendleton, was released to a Foundation front adoption agency after a round of amnestic treatment. On 01/19/2016, automated Foundation systems reported several errors originating within a Site-17 data sector containing this file. Upon further investigation, it was discovered that certain parts of this file have been lost, changed, or outright fabricated. The source of the edit is unknown, as information pertaining to the change has been corrupted or otherwise lost. The existence of a "Samantha Pendleton". Other discrepancies may exist, but are impossible to ascertain due to the significance of the breach in security that has occurred. It is currently believed that individuals involved may have also been amnesticized, as personnel memory has conflicted with recovered data. 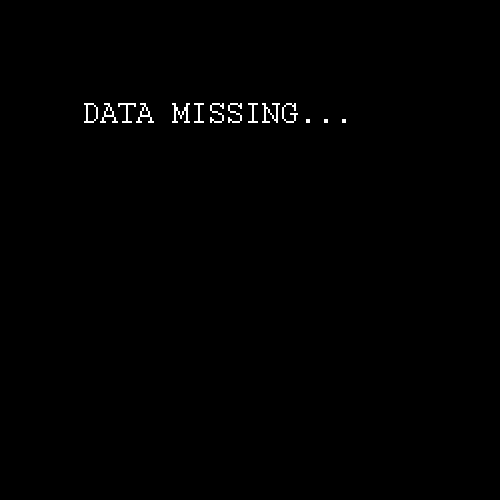 Information recovery teams are attempting to access earlier versions of this file in an attempt to gather more accurate information pertaining to SCP-2996. Video observation logs and audio files have been removed from primary Foundation data archives and are considered lost. Personnel are to report any information pertaining to this file or the security breach to Site-81 administrative staff. THIS IS AN AUTOMATED MESSAGE FROM FOUNDATION SITE-81 via SITE-19. DO NOT ATTEMPT TO CHANGE THE CONTENTS OF THIS MESSAGE.